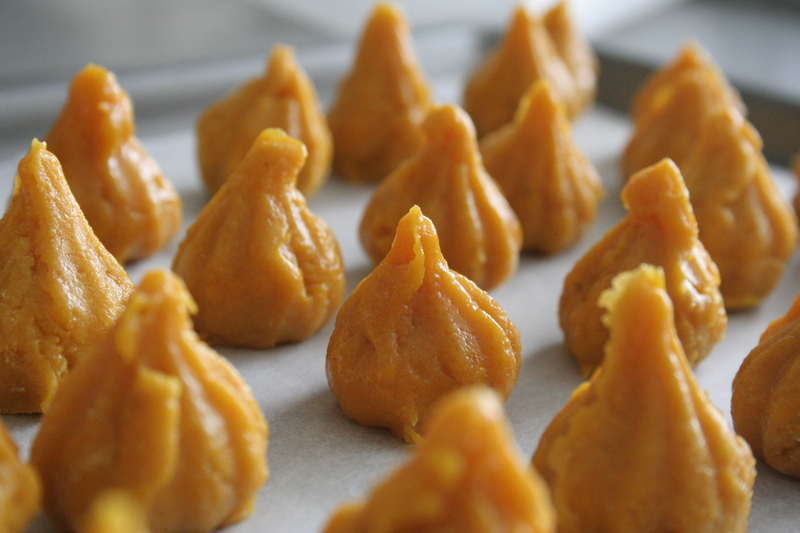 This Indian confectionary is a popular offering to Lord Ganesha during the festival of Ganesh Chaturthi. I have posted a recipe for Chocolate flavoured ones a few months ago. This time, I decided to give it a fruity twist with Alphonso mango pulp. Mix the sugar & mango pulp. 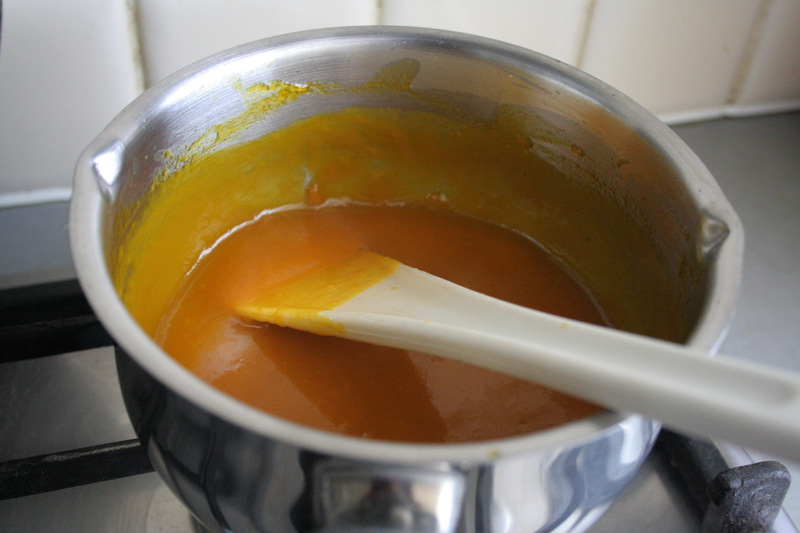 Reduce it over low heat until it thickens so much that it does not fall off the spoon easily. This should take about 30 mins. 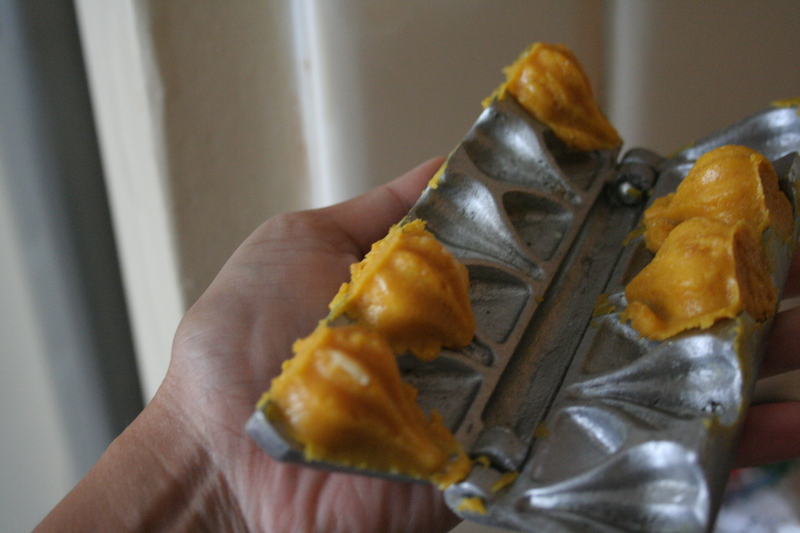 Place the mixture into metal modak moulds and press the 2 parts of the mould together. You can shape them with your fingers if you don’t have this mould. 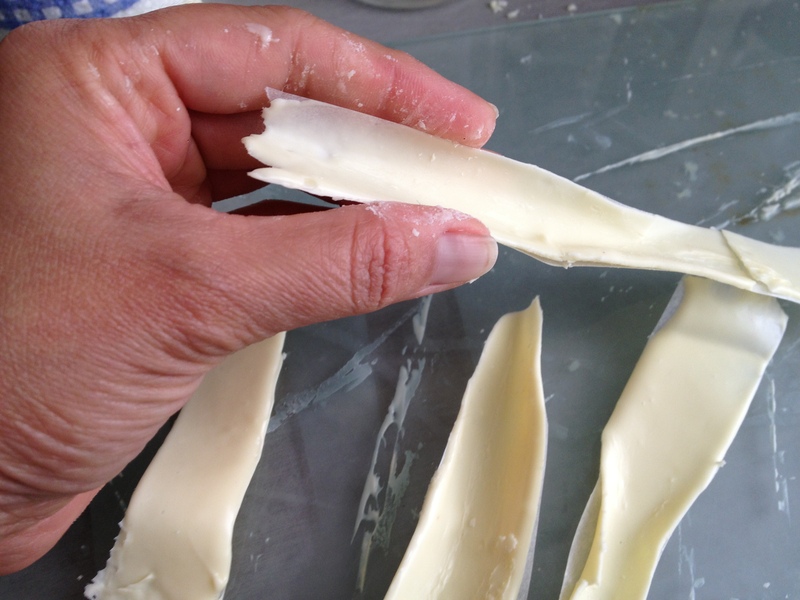 The mixture to be moulded should hold its shape when a small piece is moulded. If it feels too runny, stir in some more milk powder. As the end of summer approaches here’s a delicious treat to remind you of all things summery right through the year. 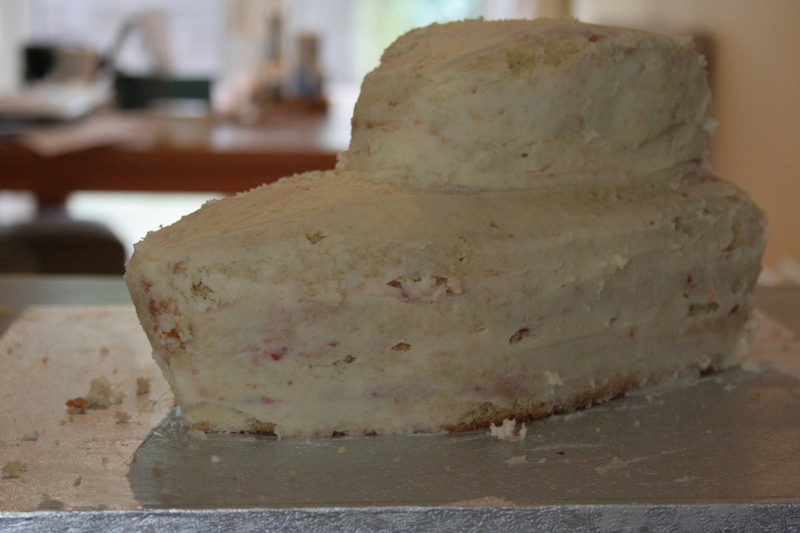 Make a 7 inch round genoise sponge – click on the link for the recipe. Heat the sugar and water together till the sugar dissolves. Once cool, add the flavouring of your choice. 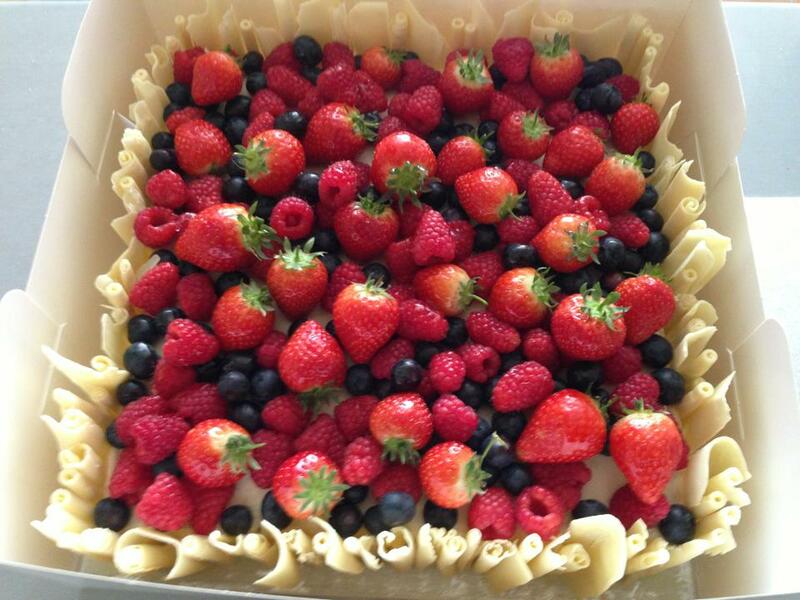 A punnet of fresh strawberries – some diced and some whole. 1. Whisk the cream, sugar and vanilla extract in a bowl placed in another bowl of iced water. Whisk until the cream gets medium firm peaks in it. Leave in the iced water bowl so it stays cold while you work on the cake. 2. 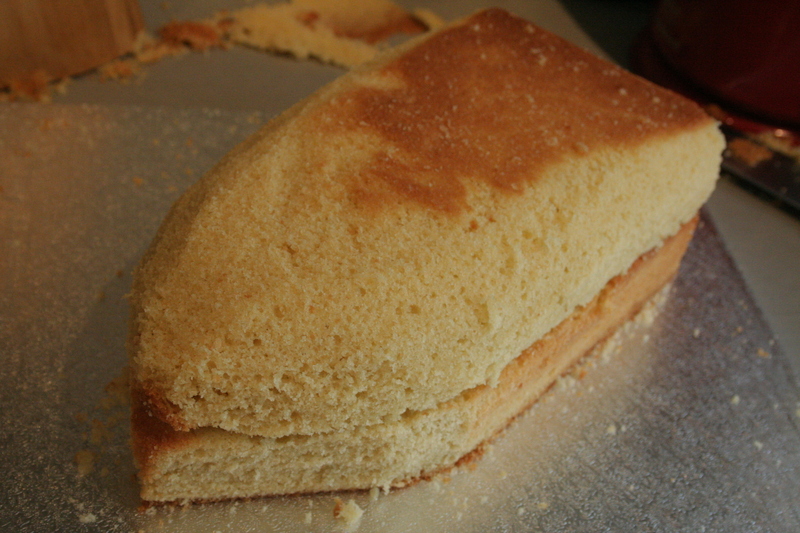 Cut the genoise sponge horizontally into three equal layers. 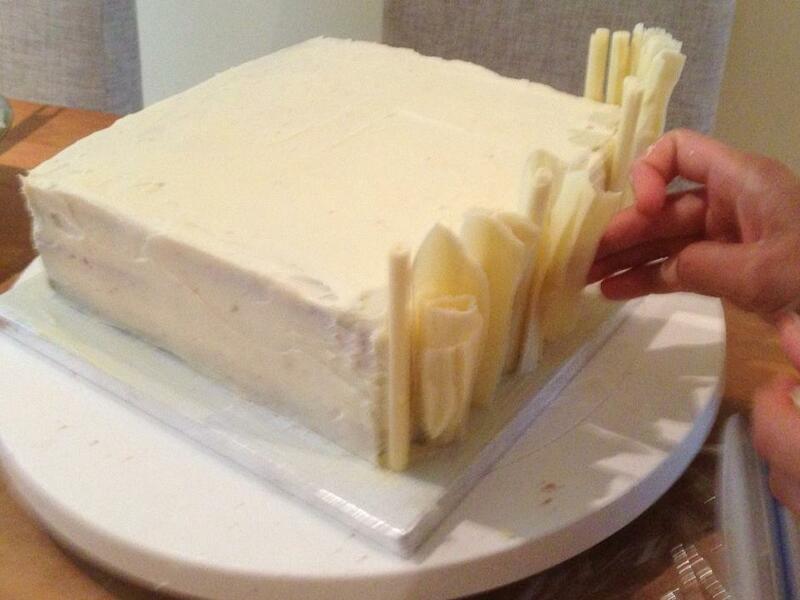 If slicing a cake makes you nervous just do two layers. You would need to use more soaking syrup on each layer to make them more moist. 3. Place the bottom layer on a cake board or plate. Brush well with soaking syrup. 5. 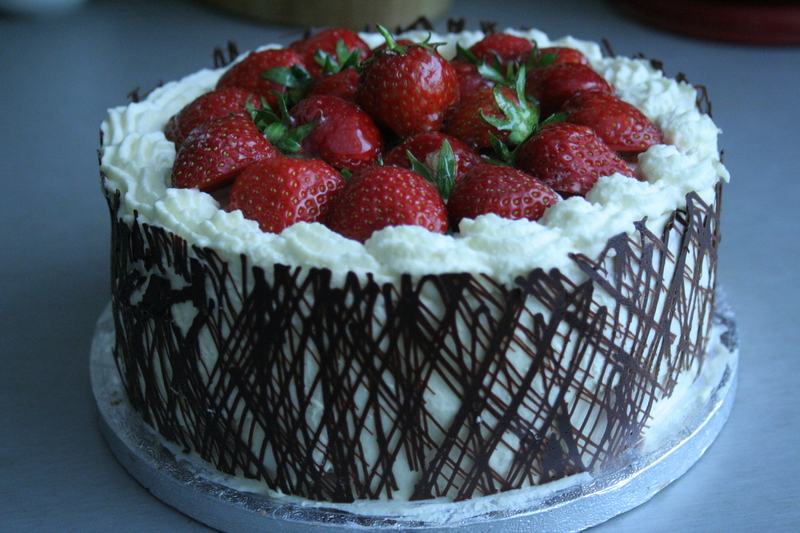 Spread some of the whipped icing on this layer until it covers all the strawberries. 6. 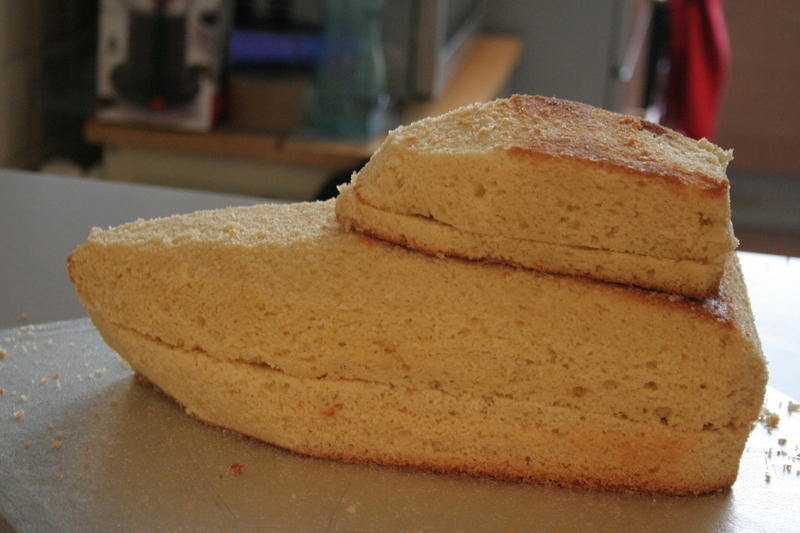 Place the next layer of sponge on it. Brush well with soaking syrup, spread jam and icing as described in steps above. 7. 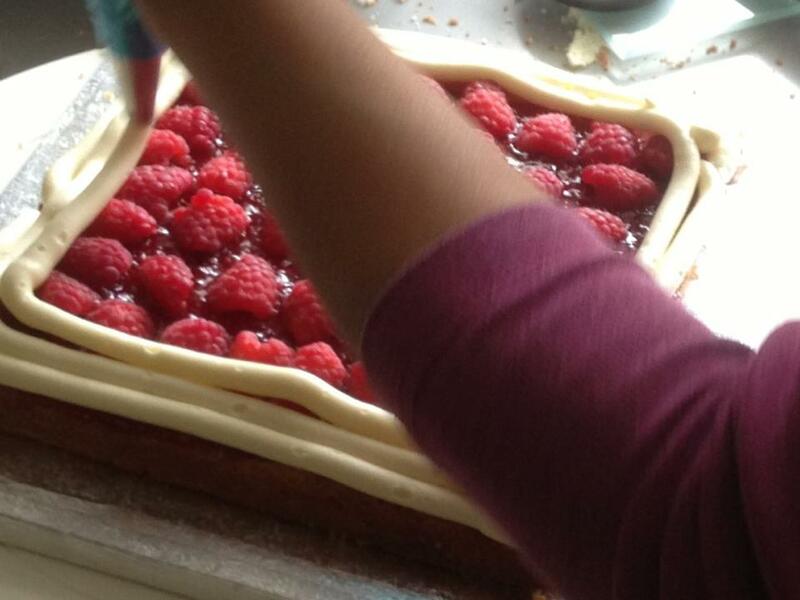 Place the topmost layer, press down on the cake gently and brush with soaking syrup. 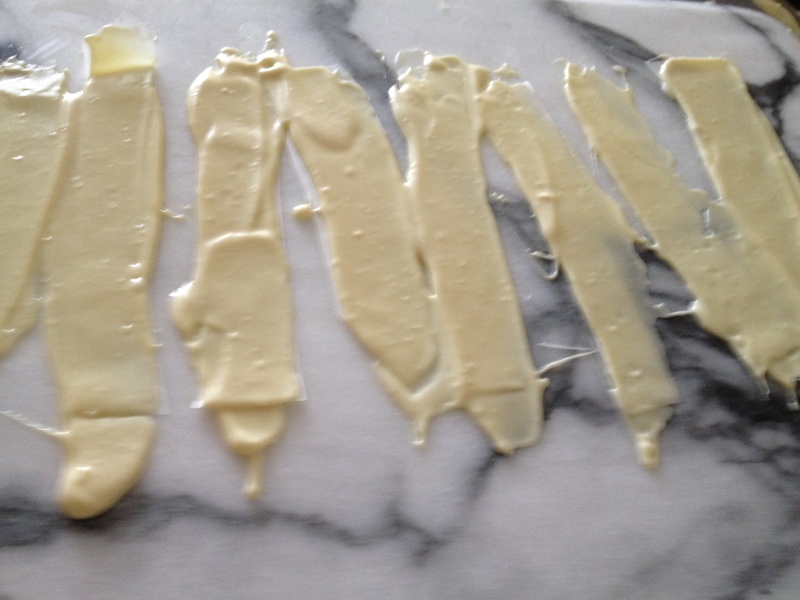 Coat the top and sides lightly with icing. 8. 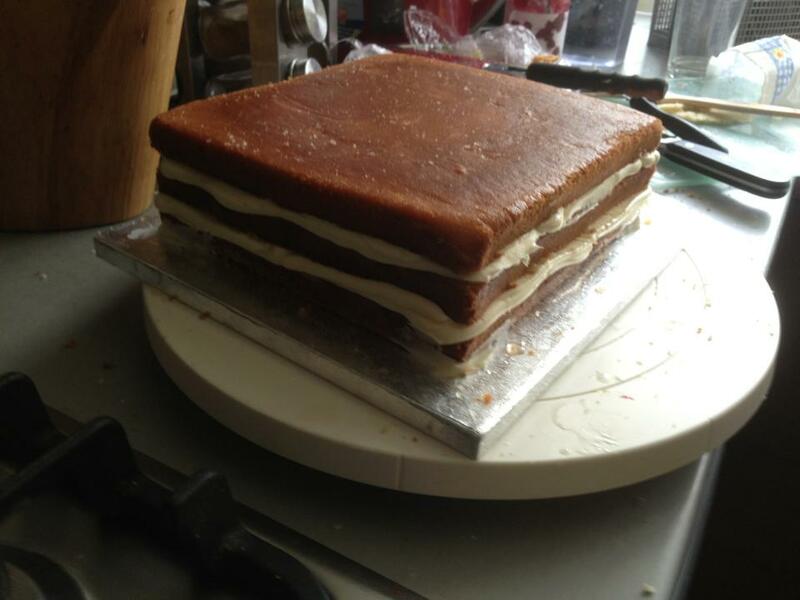 Leave the cake in the fridge for about 10 mins to allow the icing to firm up a bit. 9. 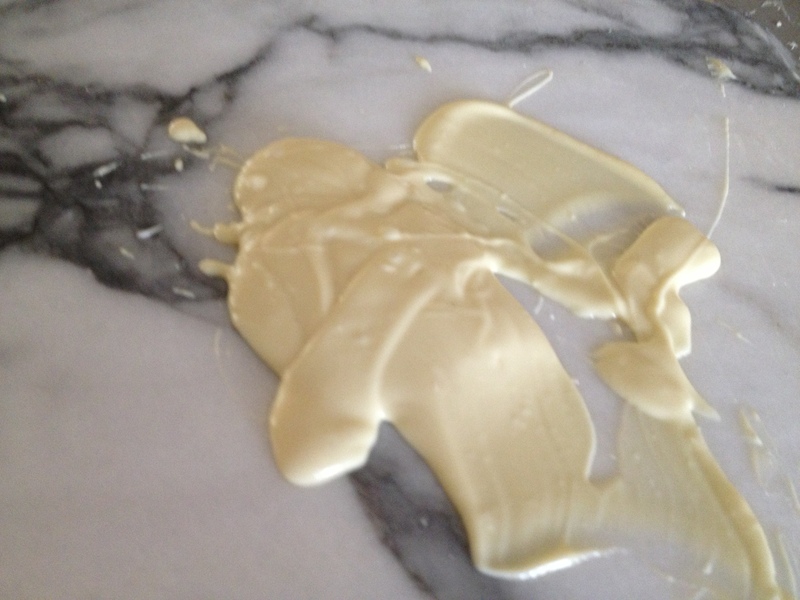 Remove from the fridge and spread more icing on top. Smooth it out with a palette knife or scraper. 10. Scatter some fresh strawberries on top. Decorate with piped icing. (and dark chocolate decorations for some extra flavour). Enjoy with some sunny smiles & pots of tea. 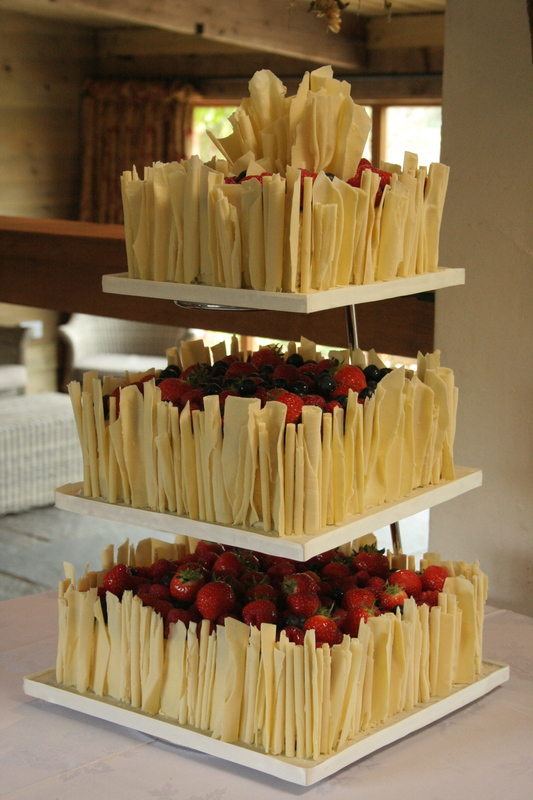 The theme chosen for this cake was shabby chic to suit the venue, a converted barn. 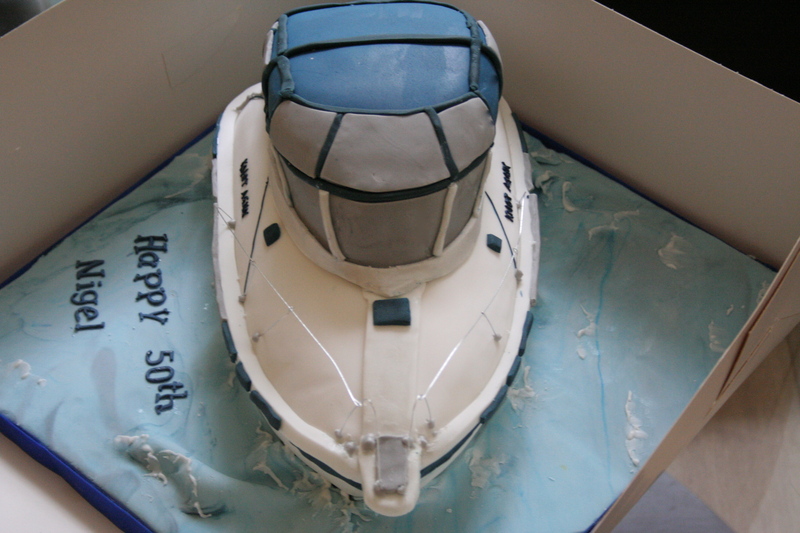 The cake inside was a genoise sponge with raspberry flavours going through it. 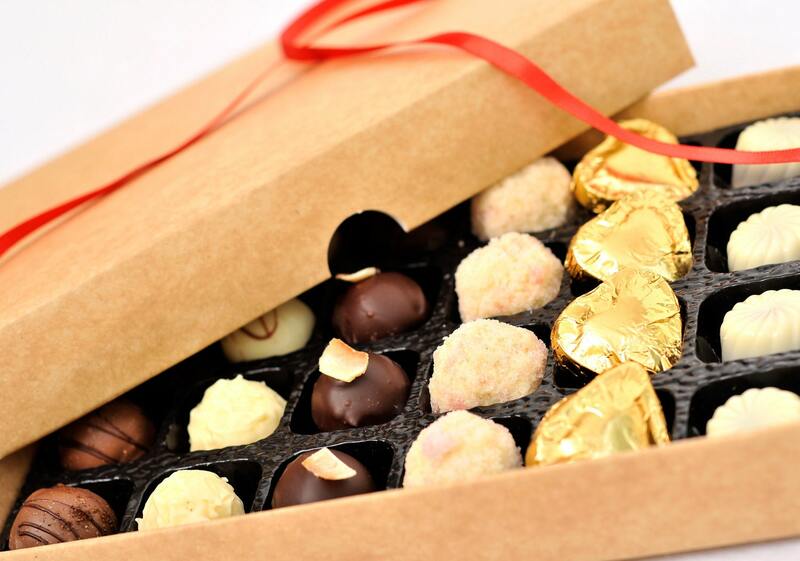 All the chocolate curls and cigarettes were handmade so they don’t look uniform like ready made ones do. 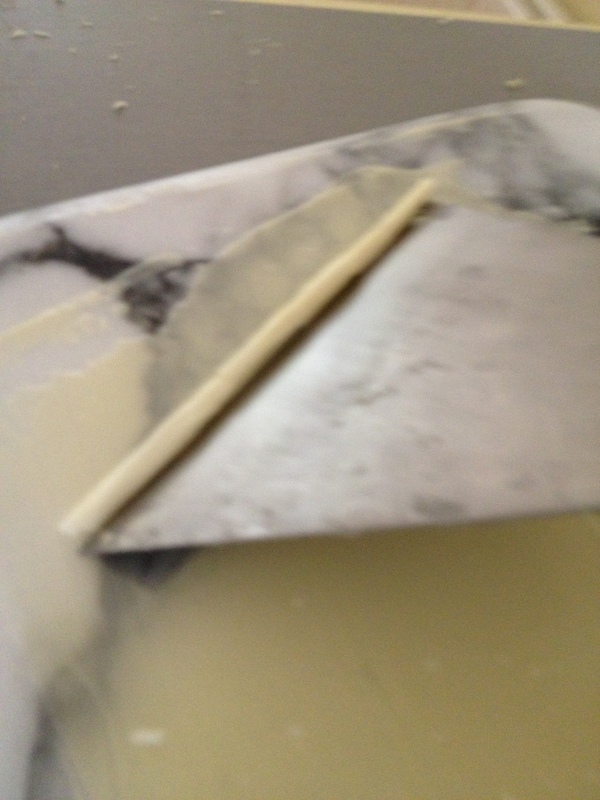 The chocolate cigarettes were made using the standard technique – spread on the marble and roll with metal scraper. The other pieces proved to be more difficult to make. After struggling with acetate and warm trays, I seem to have discovered a very effective and easy technique. 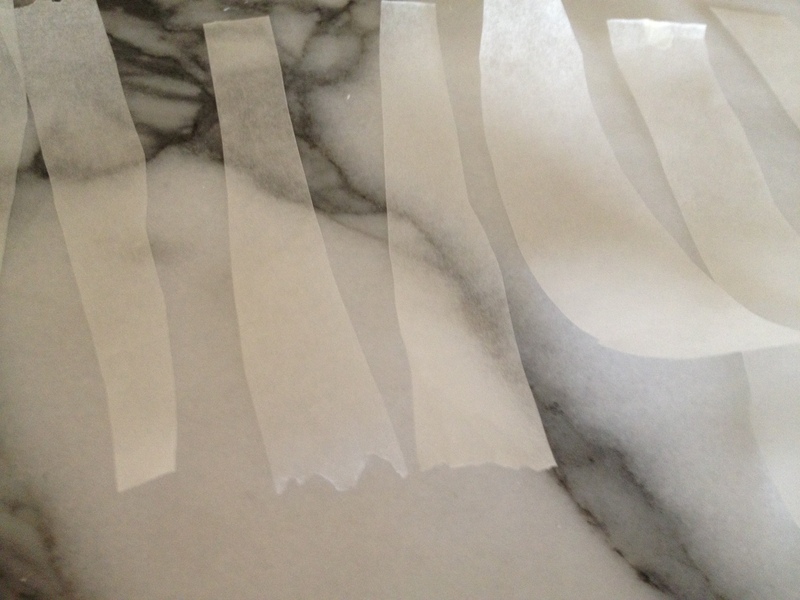 Instead of using acetate to create the shapes, I used rectangular strip of parchment paper. The tempered chocolate was spread unevenly on each strip and shaped just as it was setting. 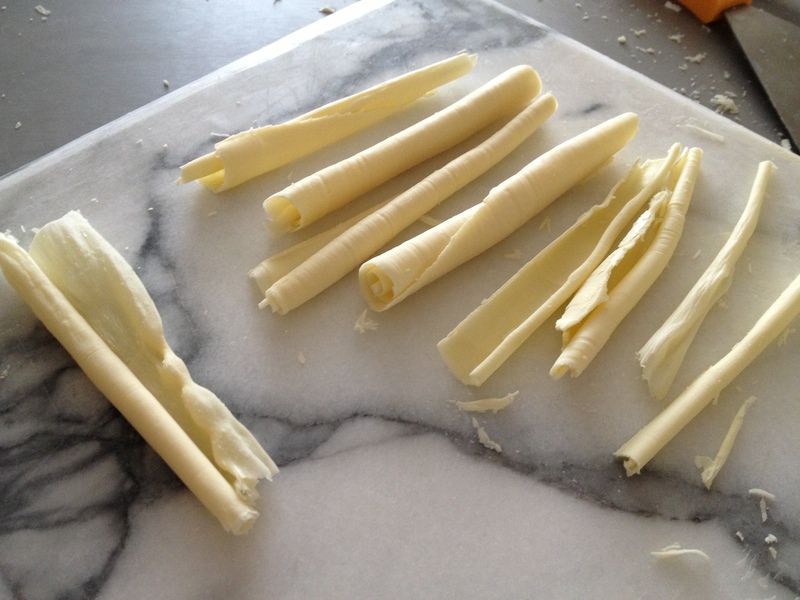 This method gave me the flexibility to mould them into curly shapes even after the chocolate had just started setting. All I had to do was rub them between my palms. This created enough heat to twist without breaking. In all, I created around 250 pieces of chocolate and nearly all of them were used in the cake. 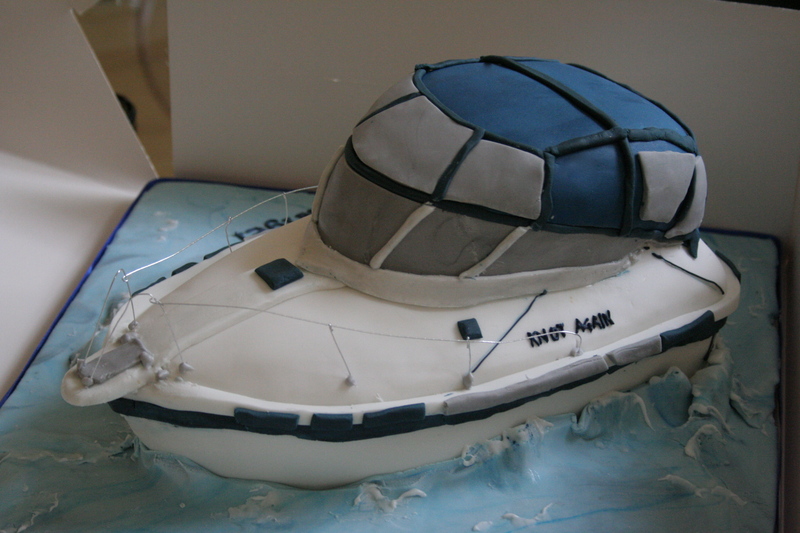 Ordered for a gentleman’s landmark birthday, this cake is based on his most prized possession – his boat, a Scand 7800 Nautic. 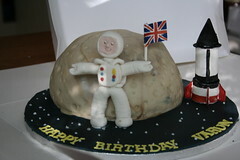 The cake was made from a 12 inch & a 8 inch square Victoria sponge. The template for cutting the base was created using the measurements of the boat, but with a slightly broader base for stability. 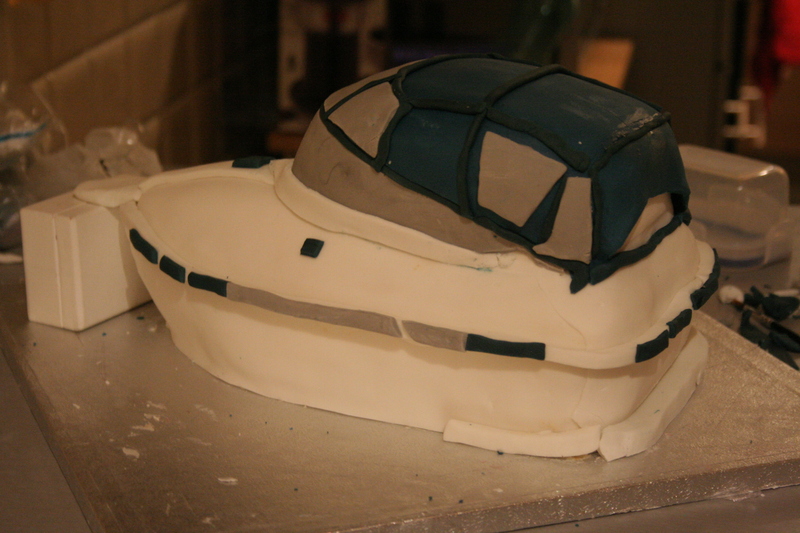 The base was carved out of the bigger sponge using the template. The top part measured about 2/3rds of the boat’s length and about half the width. 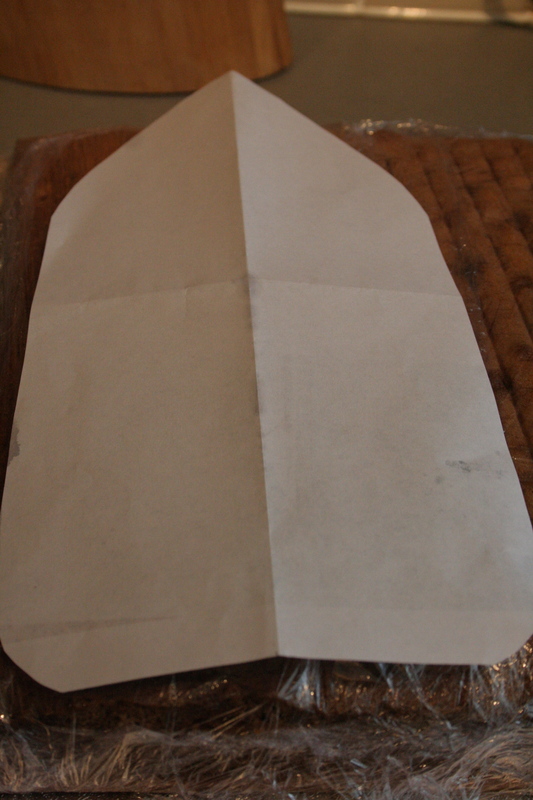 It was cut out from the smaller sponge and carved to accomodate the shape of the cover. 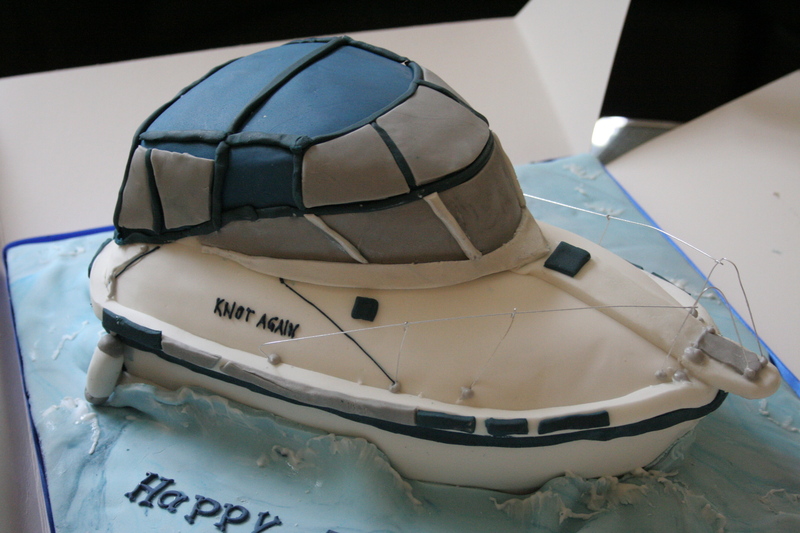 The entire boat was put together and carved out to match the proportions of the boat. It was then crumb coated & iced. Each finishing touch was added. The top of the boat had several panels and windows. 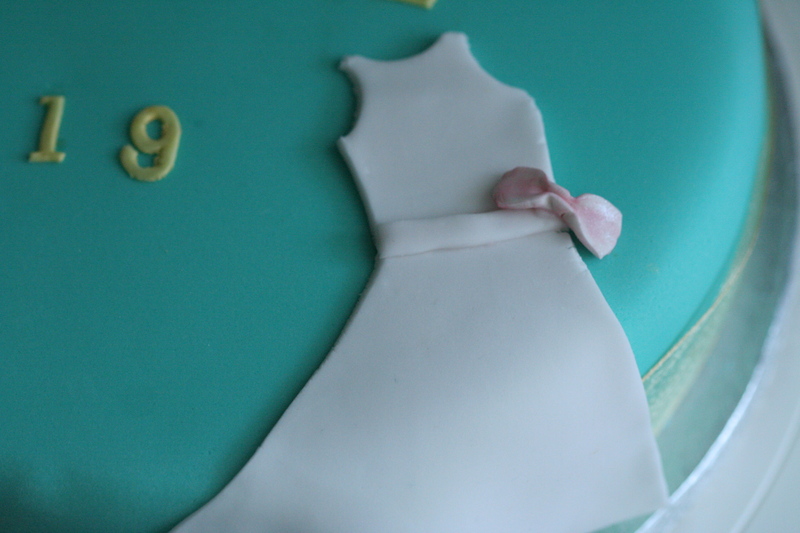 The sides were made out of thickly cut sugarpaste with coloured strips stuck on. Finally the railings were fitted. I tried to make these out of modelling paste to start with but ultimately settled for silver florist wire as this looked the most realistic. I am hoping this will bring in waves of enquiries! 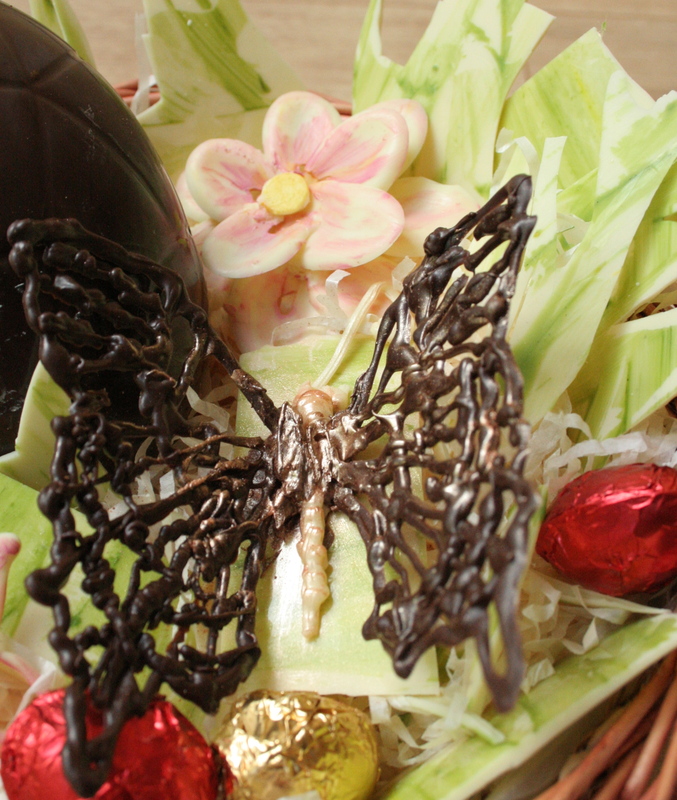 Everything inside is handmade chocolate – the flowers, the grass, the butterfly, Easter bunny and of course, the Easter eggs. 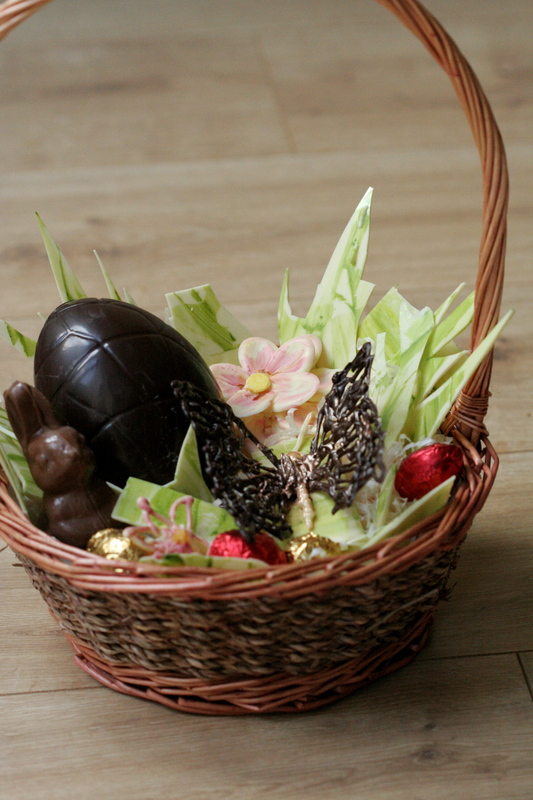 There’s nothing like a “Spring in a basket” to beat the cold wintry blues. 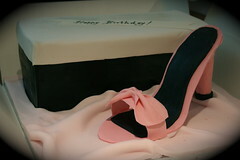 This cake was ordered for a young lady who is surrounded by fashion all day. She works in an upmarket boutique and has a keen eye for clothes and accessories. Naturally, the theme for her birthday cake had to be fashion. 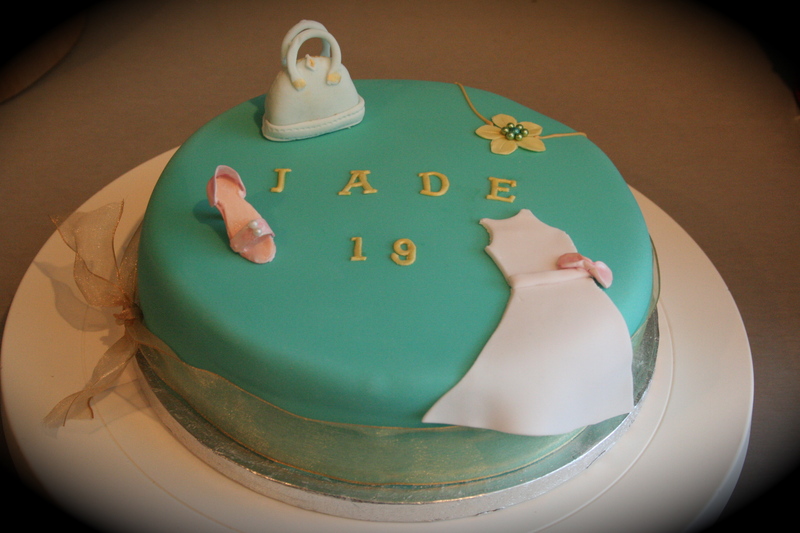 The jade green colour of the cake reflects her name. Each topper represents something you would find in her boutique. Perfect for the girl who likes to make a fashion statement! With Christmas just 2 weeks away, here’s a great recipe to get you baking. Every country has it’s own version of the Christmas cake & every family probably has their own special variation. My recipe is a rich moist fruit cake packed with fruit cooked in brandy. You won’t need to keep feeding this one … Cooking the fruit in brandy keeps them deliciously soft and moist even months after baking the cake. The fruit and cake take quite some time to cook, cool & bake so make sure you plan your time accordingly. Give yourself at least 1 week for the cake to cool down before decorating and serving. I prefer to do this the night before I bake so they are cold enough to mix into the batter in the morning. – Measure out the brandy, mixed fruit, glace cherries, zest and juice of orange & lemon in a pan. – Cook them on low heat until the alcohol is almost completely absorbed by the fruit. 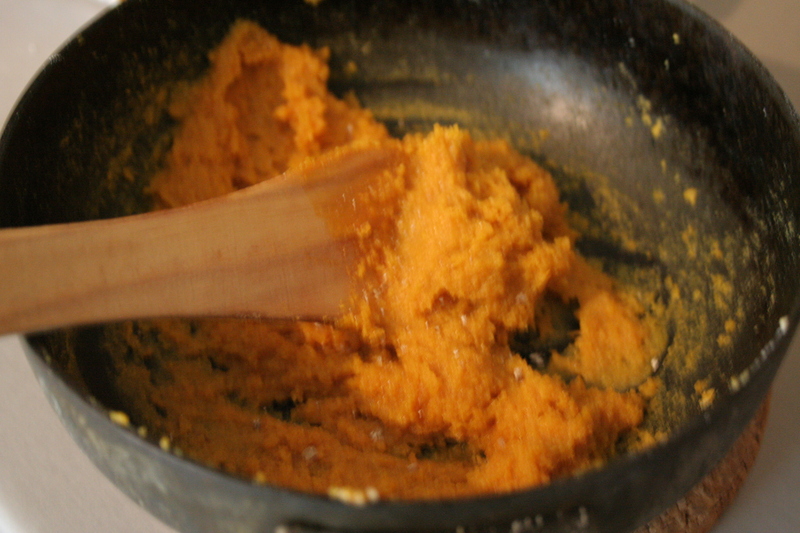 – Fold the flour + spice into the mixture. – Add the cooked fruit a little at a time and mix until it is evenly spread into the batter. Repeat until all the fruit is mixed in. – Line a 7″ cake tin with parchment paper. Pour the batter into it. 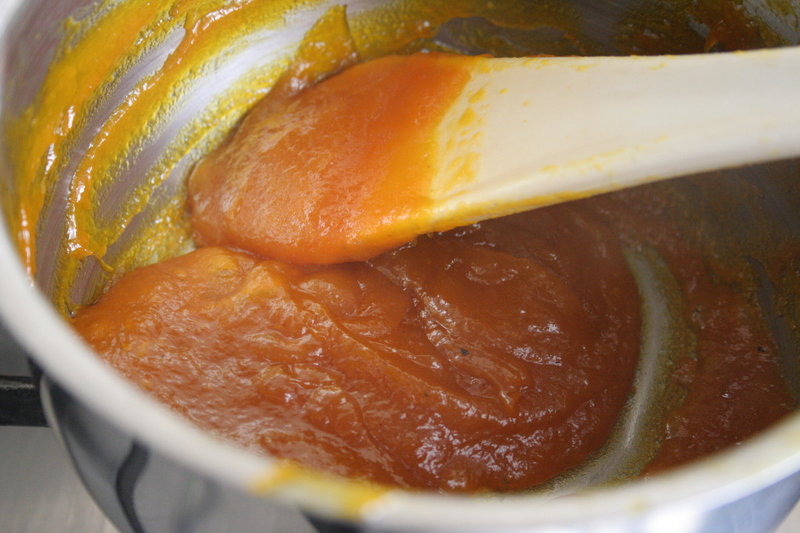 – Place the tin into the fridge for about 30 minutes to chill the batter further. 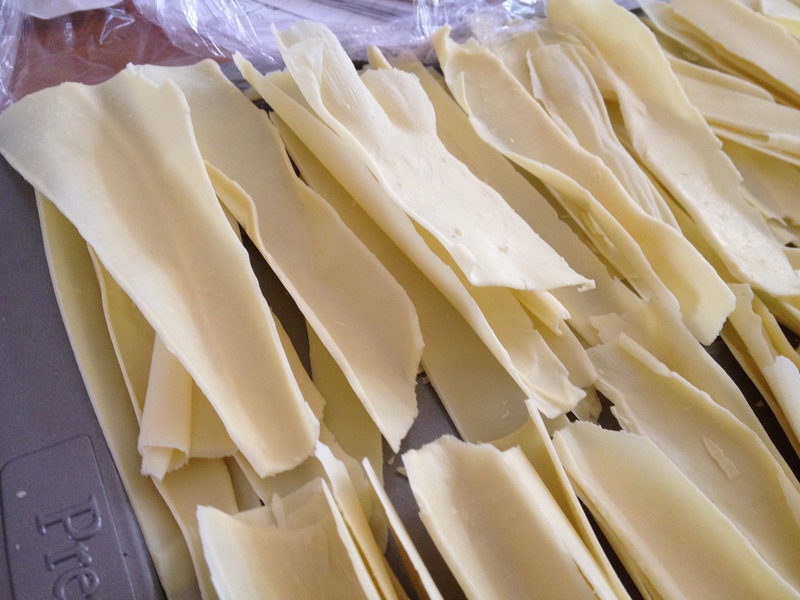 – Bake in a pre-heated oven at 150 deg C for at least 1 and 1/2 hr, until done (it takes me approximately 2 hrs in my oven). Pack the cake in parchment paper & store for at least a week, until you are ready to decorate. Seal any holes left by the fruit with small balls of marzipan. 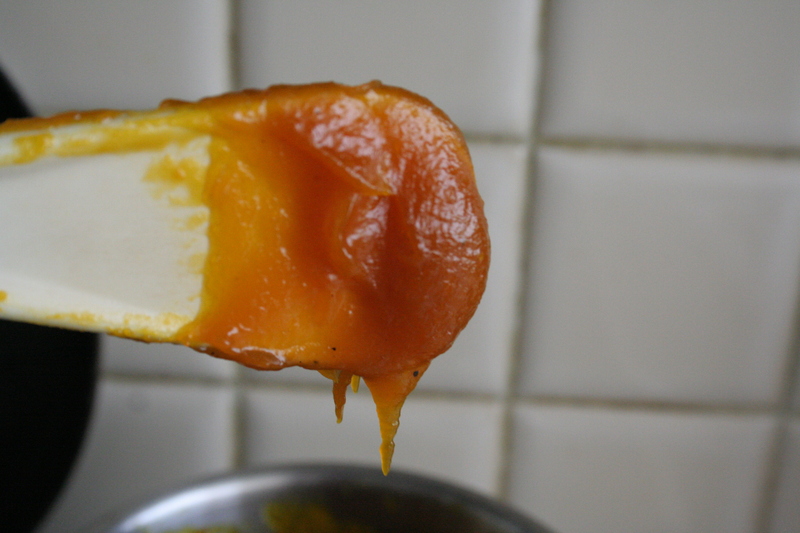 Lightly coat the sides & top with apricot jam. 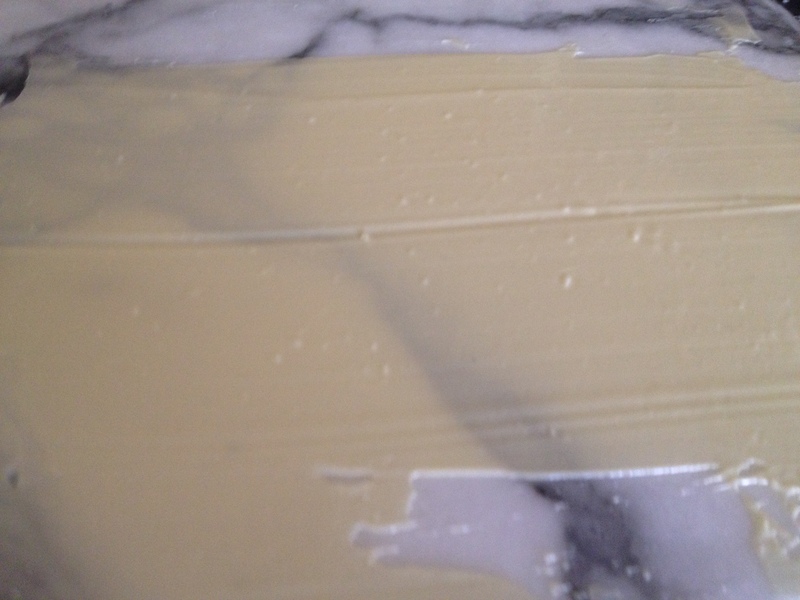 Cover with marzipan & smooth over. Turn over & cover the bottom with marzipan & smooth over. Cover with sugarpaste and decorate with cutouts or sugar sculptures.